Lockheed Martin's Joint Air-to-Surface Standoff Missile (JASSM) completed two product verification flight tests in New Mexico. Focused on demonstrating the updated Global Positioning System (GPS) anti-jam hardware and software, flight testing verified effective operation in both GPS-degraded and non-jammed environments. B-2 and B-52 bomber aircraft launched the JASSM missiles at altitudes greater than 24,000 feet. The missiles navigated to and destroyed their intended targets, completing all mission objectives. 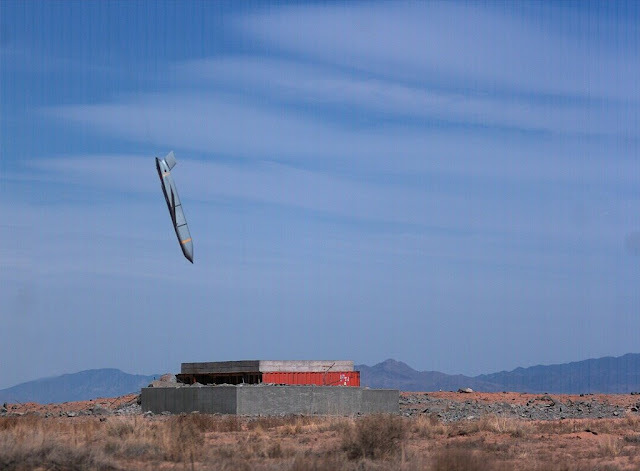 "JASSM is effective in a variety of challenging mission environments," said Jason Denney, program director of Long-Range Strike Systems at Lockheed Martin Missiles and Fire Control. "With these JASSM product updates, we continue to provide a wide range of affordable options that ensure a tactical advantage for U.S. and allied warfighters." Armed with a penetrating blast-fragmentation warhead, JASSM and JASSM-Extended Range (ER) can be used in all weather conditions. They share the same powerful capabilities and stealth characteristics, though JASSM-ER has more than two-and-a-half times the range of JASSM for greater standoff distance. In addition to the enhanced digital anti-jam GPS receiver, these highly accurate cruise missiles also employ an infrared seeker to dial into specific points on targets. Effective against high-value, well-fortified, fixed and relocatable targets, JASSM is integrated on the U.S. Air Force's B-1B, B-2, B-52, F-16 and F-15E. The B-1B also carries JASSM-ER. Internationally, JASSM is carried on the F/A-18A/B and the F-18C/D aircraft. Produced at the company's manufacturing facility in Troy, Alabama, more than 2,000 JASSMs have been delivered. Lockheed Martin delivered the 2,000th JASSM to the U.S. Air Force in August 2016.